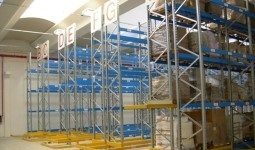 GS 80 racking for pallets is suitable to store compact goods on pallet of medium or big sizes. These all modular structures are easy to assemble and have various shapes. Capacity and stability are guaranteed through careful tests and research in modern specialized University laboratories. The different components and attachments allow storage of heavy goods; security and modularity are the two main features of these rackings. 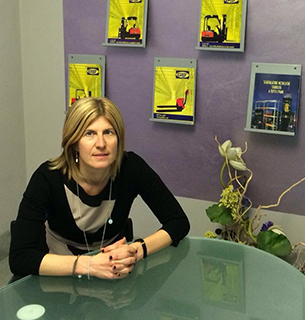 The company S. works on developing and planning industrial mezzanines of medium and big capacity. Thanks to our experience we have been able to develop modular structures made up of standards elements , which can be manufactured in a short time and at low cost. 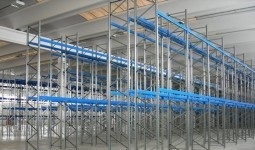 The installation of mezzanines is the ideal solution to take advantage of the vertical space available in buildings . 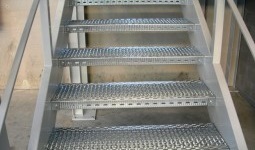 the different types of mezzanines allow to find the right solution to totally satisfy your need . This type of racking is both easy to handle and aesthetically very pleasant, for this reason it is also convenient in offices, shops and warehouses. Our GS 50 and GS MINI ZINC racking is a mix of convenience and high aesthetic quality, is perfectly convenient both in industrial warehouses or shops. 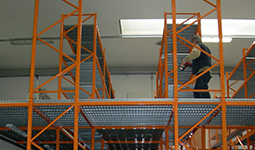 The convenient frame-up system without any screwand bolts allows for good stability and quickness during assembling.This type of racking is convenient for manual storage of very bulky goods , using if necessary sides, dividers,basins, backs and ladders for two-level structures. Cantilever racking is the ideal product to store goods of long horizontal shape like pipes, aluminium and iron rods, panels etc. 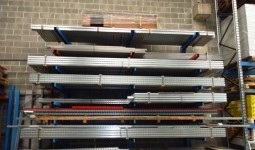 This product is embossed on racking , composed by steel pillars with shelves hung on them. On these shelves the goods are stored. We can also make double structures that allow to take advantage of the space available, reducing the obstructions, and structures with cover to protect goods from external agents. 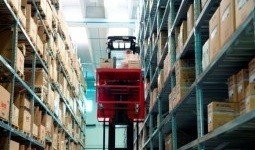 With the right attachment cantilever can be used also for the storage of compact or on palleted goods. Ladders designed and built to ensure convenience and safety according to your needs.We design with our experience and expertise , different types: safety ladders, escape ladders, access ladders to mezzanines and personalized ladders in general, always with our practice and ability. Our engineers carry on careful inspections on the construction site and we make also specific projects in order to satisfy the needs of our costumer to the full. We use certified materials, anti skid steps, high resistance bolts that ensure high quality products for internal and external use.